This weekend, the Washington Post reported that an interactive “Global Heat Map,” published by fitness data company Strava, had revealed sensitive information about the location and movements of servicemen and women in Iraq, Syria, and other conflict zones. The data in Strava’s Global Heat Map originates from individual users’ fitness tracking data, although the company took steps to de-identify and aggregate the information. The resulting controversy has highlighted some of the serious privacy challenges of publicly releasing open data sets, particularly when they are based on sensitive underlying information (in this case, geo-location). Until recently, almost all conversations around open data related to the risks of re-identification, or the possibility that individual users might be identified from within an otherwise anonymous dataset. The controversy around Strava demonstrates clearly that risks of open data can go far beyond individual privacy. In addition to the identity of any individual user, location data can also reveal: the existence of – or activities related to – sensitive locations; group mobility patterns; and individual mobility patterns (even if particular people aren’t identified). As we recommended in our recent privacy assessment for the City of Seattle, companies should thoroughly analyze the range of potential unintended consequences of an open data set, including risks to individual privacy (re-identification), but also including societal risks: quality, fairness, equity, and public trust. Strava is a San Francisco-based company that provides location-based fitness tracking for runners and cyclists (calling itself the “social network for athletes”). Users can download Strava’s free app and use it to directly map their workouts, or pair it with a fitness device, such as a FitBit. In this sense, Strava is very similar to dozens of other popular fitness tracking apps, such as MapMyRun, RunKeeper, or Nike + Run Club. In providing this service, Strava collects precise location data from users’ smartphones as they run or cycle. Like many fitness apps, Strava makes this data “public” by default, but provides adjustable privacy controls for its community-based features, such as public leaderboards, visibility to nearby runners, and group activities. 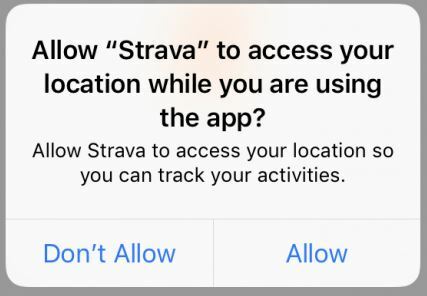 In fact, Strava deserves some credit for providing more granular privacy controls than most fitness apps — they allow users to selectively hide their activities from others, or to create “Privacy Zones” around their home or office. While there is undoubtedly work to be done to align defaults with users’ expectations (we note, for example, that Strava’s request for access to location data does not mention public sharing, but asks for location “so you can track your activities”), many users of fitness apps will be familiar with this kind of setup, and able to exercise informed privacy choices. Beginning in 2017, Strava began publishing an updated “Global Heat Map” of the aggregated jogging and cycling routes of its 27 million users. As far as we can tell, the Heat Map is comprised of the anonymous location data collected and aggregated from all users, even when they have enabled the app’s primary privacy controls vis a vis other athletes — although according to Strava’s support page, the Heat Map excludes “private activities” (activities that users have set to be totally private) and “zones of privacy” (users’ activities within areas that they have specifically submitted to Strava to be excluded, such as home and work addresses). Strava is not alone in this endeavor — there is a growing industry for location data from a wide variety of sources, including fitness trackers and location-based mobile apps. For example, Uber Movement promises to harness the power of its user base by providing “anonymized data from over two billion trips to help urban planning around the world.” Similarly, many state and local governments are partnering with Waze to share mobility data and reduce traffic. Strava allows users to opt out of contributing to the Global Heat Map, although the option is only available in the online dashboard (not the app). While there is certainly an important conversation to be had about individual users having a better understanding of the information they share, it is equally important to consider the responsibilities that are involved with any public release of a large dataset. In Strava’s case, the company was under no obligation to make the data they held available to the public. They did so in order to provide an interesting, useful feature, and perhaps to demonstrate their powerful mapping capabilities. Once they decided to release the data, however, they had a responsibility to thoroughly review it for potential risks (no easy task). These kinds of challenges are by no means new. 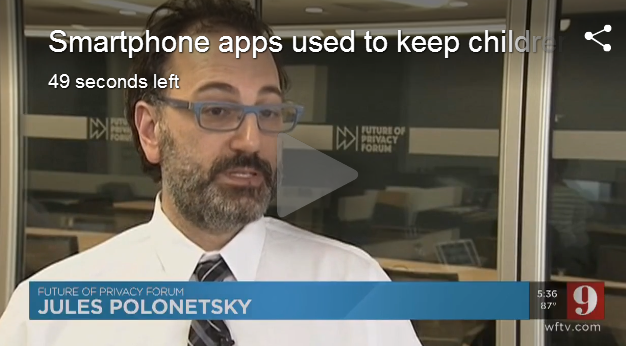 As FPF’s Jules Polonetsky, Omer Tene, and Kelsey Finch described in Shades of Grey: Seeing the Full Spectrum of Practical Data De-Identification, some of the most (in)famous examples of “re-identification” arose from the public release of AOL search data, a Massachusetts medical database, Netflix recommendations, and an open genomics database. In each of these cases, “even though administrators had removed any data fields they thought might uniquely identify individuals, researchers . . . unlocked identity by discovering pockets of surprising uniqueness remaining in the data.” Repeatedly, researchers have shown that in a big data world, even mundane data points, such as the battery life remaining on an individual’s phone, can serve as potent identifiers singling out an individual from the crowd. existence or activities related to sensitive location (while some locations, such as abortion clinics or mosques, may only be sensitive in their relation to individual visitors, other locations, such as secret military installations, may be sensitive in their very existence). Have policies and procedures for evaluating re-identification risk across databases (e.g., risk created by intersection of databases; county, state, or federal open databases; and commercial databases). Although initial reports indicated that the Strava Heat Map did not reveal individual information, combining the aggregate Heat Map data and the Strava’s leaderboards can potentially reveal individual users and the details of their top runs. Reportedly, a computer scientist has already developed a programmatic method for accessing individual names directly from the Heat Map datasets without relying on outside information. #2. Data Quality. If data is going to be released publicly, the data should be (as far as possible) accurate, complete, and current. Although this is certainly more important in the context of government-held data, it is applicable to companies like Strava in the sense that the data should reliably inform future decisions. Companies can take steps to check for inaccurate or outdated information, and institute procedures for individuals to submit corrections as appropriate. #3. Equity and Fairness. Another key aspect of open data — equally applicable to private datasets as to government-held datasets — is equity and fairness. If data is going to be released publicly to be used by others, it should be collected fairly and assessed for its representativeness. For example, Strava permits its users to opt out of contributing to the open dataset (although many may have been unaware), an important aspect of fairness. Equally, though, datasets should be representative. In his comments to the Washington Post, the Australian researcher who first noticed problems with Strava’s Heat Map mentioned that his father had suggested he check it out as “a map of rich white people.” Although the comment was likely offhand, the issues are serious — particularly in “smart” systems that use algorithmic decision-making, bad data can lead to bad policies. For example, both predictive policing and criminal sentencing have repeatedly demonstrated racial bias in both the inputs (historic arrest and recidivism data) and their outputs, leading to new forms of institutional racial profiling and discrimination. #4. Public Trust. Although we might typically think of “public” trust as a government issue, trust is critical in the private sector as well. As we have seen in the resulting discussions of Strava and the collection of location data from fitness trackers, there is concern both in the military and amongst average consumers around the use of connected devices. Particularly in the absence of baseline privacy legislation, trust is critical for the growth of new technologies, including Internet of Things (IoT) devices, fitness trackers, Smart Cities, and connected cars. Beyond individual privacy, the Strava Heat Map demonstrates that there are societal risks that inhere in sensitive datasets. In particular, geo-location data can reveal individual and group patterns of movement, as well as information related to sensitive locations that must be taken into account. As technology advances and we address the challenges of connected Internet of Things (IoT) devices in our homes, on our bodies, and embedded in our cities, it is more important than ever to address the privacy challenges of location and open data.